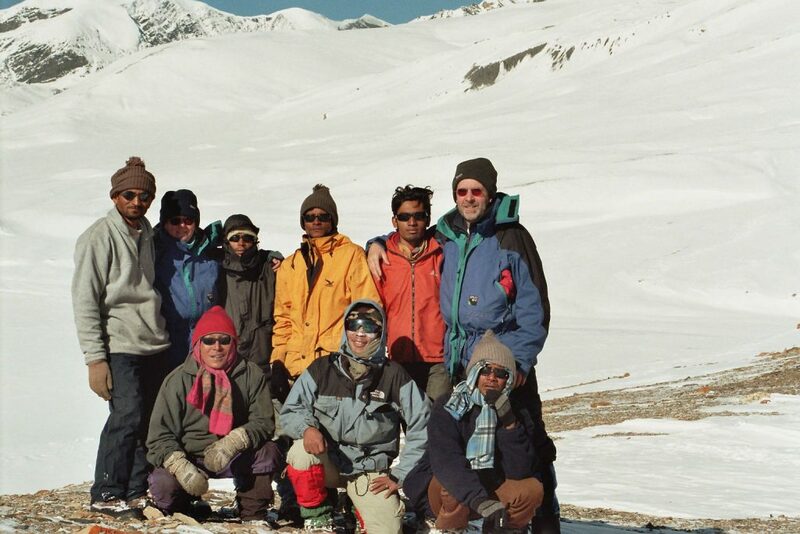 Mount Dhaulagiri Expedition - FIRST ENVIRONMENTAL TREKKING Pvt. 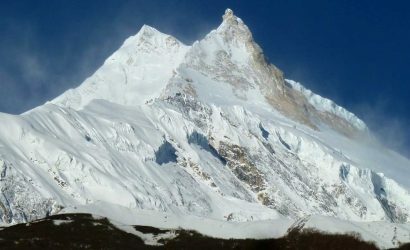 Ltd.
Dhaulagiri, the White Mountain was first climbed by the Swiss in 1960. Its name is derived from Sanskrit “dhavala” - means white and “giri” - means mountain – The White Mountain. 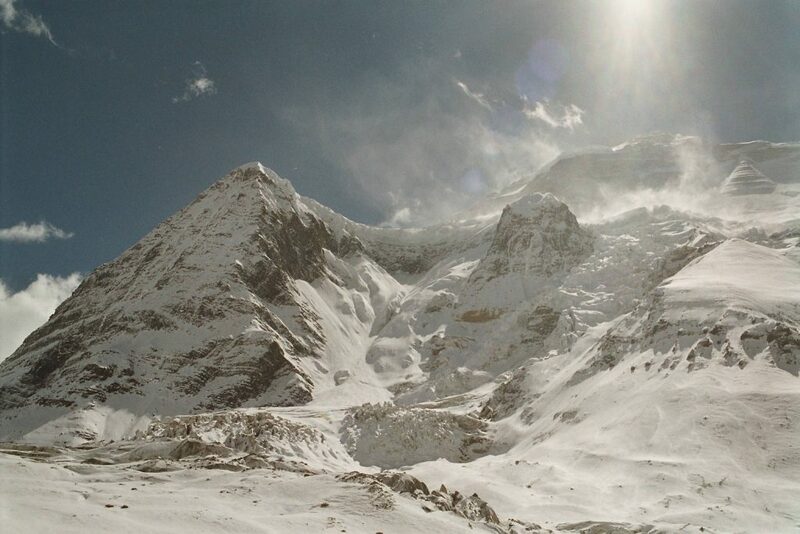 It is an enormous Himalaya massif located in the North Central Nepal. It was first sighted by the British surveyors in India in the early 1800s and it remained as highest peak in the world till 1848 AD. Later it was mapped by one of the secret Indian surveyors in 1873 AD. But the region remained largely unknown until a Swiss aerial survey in 1949. The French Annapurna Expedition , led by Mr Herzog in 1950, had permission to climb either Dhaulagiri or Annapurna but decided on Annapurna after a reconnaissance of Dhaulagiri. A Swiss team failed to climb in 1953 as did an Argentine group one year later. 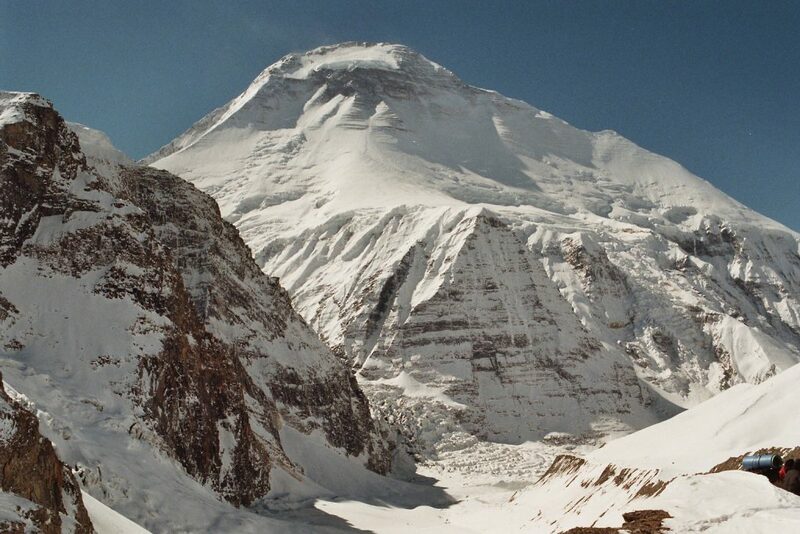 After four more expeditions, eight members of a Swiss expedition reached the summit in 1960. 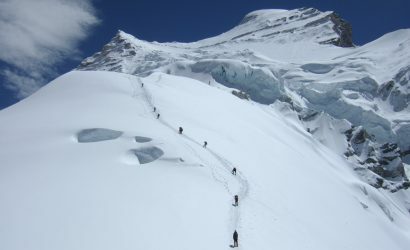 The climb followed a circuitous route around the mountain from Tukuche, over Dhampus pass, French col to approach the summit from the North – East col. The peak was then climbed by two Japanese in the 1970s, the American in 1973 and the Italians in 1976. 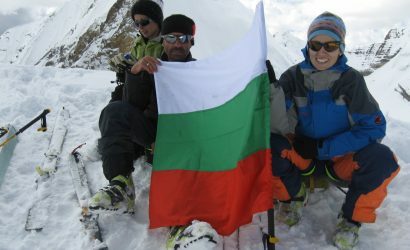 There have been many attempts made by various mountaineering expedition team and recently an Italian team has successfully climbed the mountain during spring season 2006. 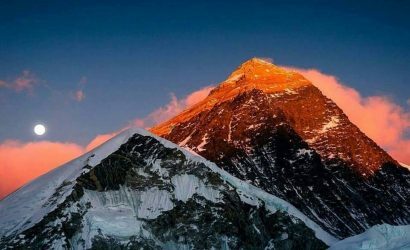 The Indian climbers have much grand successful climbing to Nepal Himalayas peaks in the recent past but they have not climbed Dhaulagiri as yet. This is the perfect trip for those who want a more intense experience of the mountains. We will be trekking deep into the Dhaulagiri region, providing more spectacular views of Mt Dhaulagiri, Throng Peak, Annapurna I and Kali Gandaki, the world’s deepest gorge. We may encounter semi-wild yak herds, Mountain sheep or the elusive snow leopard in the remote valleys of this region. After a short flight from Kathmandu, Pokhara & Jomsom, we will spend the first few days of our walking through cultivated fields connecting mountain villages, enjoying the shops, tea houses and lifetime of the Gurung, Chhetri, Magar peoples. We will walk alone cobblestone paths, over suspensions bridges and through dense forests, taking in the vistas of some of the world’s most beautiful mountains. We will continue to explore and fully absorb the beauty of the surrounding peaks. 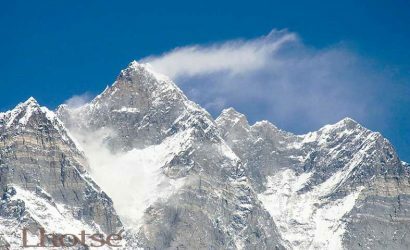 We will climb over the glaciated French pass and Dhampus pass and then descend a winding trail to Yak Kharka. 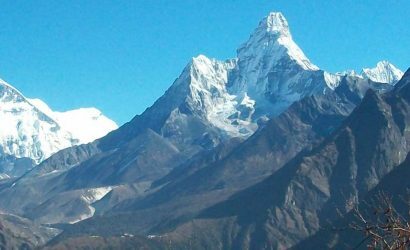 We will continue through mountain villages, enjoying the Hot Springs at the Tatopani and views of the majestic peaks of the Annapurna and Machhapuchhare as we make our way toward Pokhara, visiting several monasteries and religious sites en route. Arrival at Kathmandu International Airport, transfer to hotel. Make necessary preparation for the climbing. 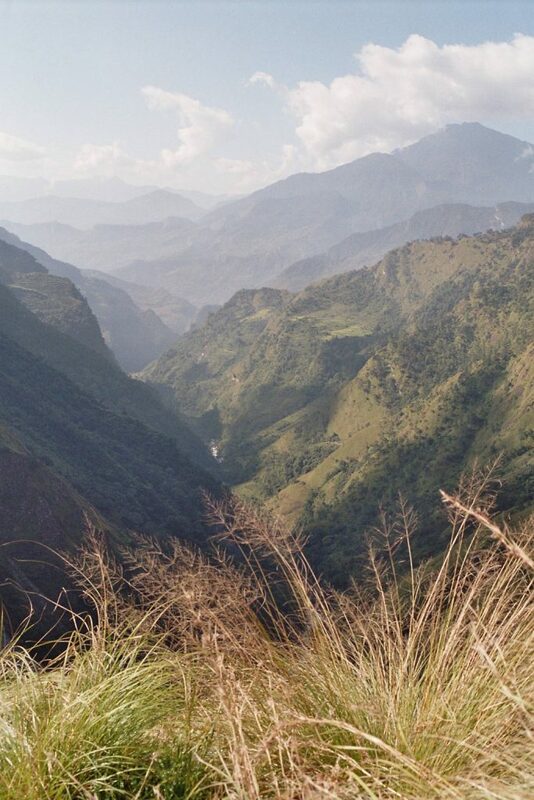 Drive from Kathmandu to Beni (830m). Drive from Beni (830m) to Darbang (1180m). Then trek to Phaliya Gaon (1500m). Trek from Phaliya Gaon (1500m). to Muri (1850m). Trek from Boghara (2080m). to Dobang (2520m). It takes around Seven hours. Rest day at Dobang (2520m). 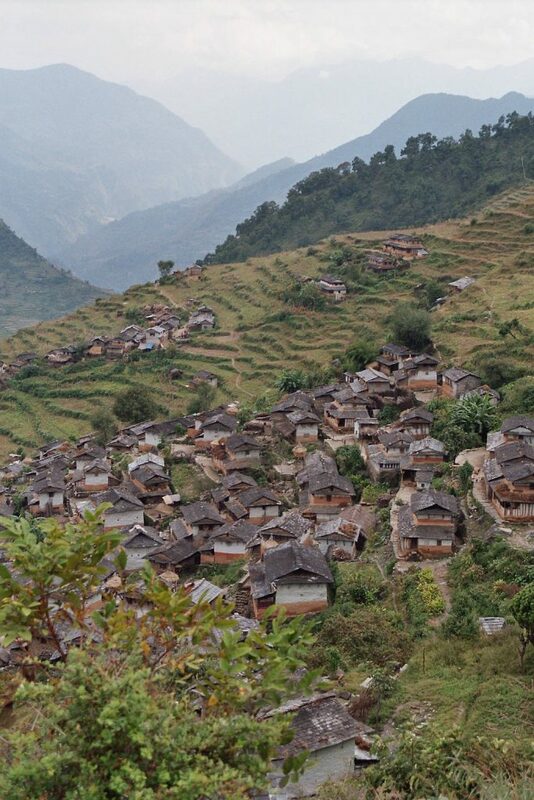 Trek from Dobang (2520m). to Italian Base Camp (3660m). It takes around Six hours. Rest day in Italian Base Camp. Trek from Italian Base Camp to Dhaulagiri Base Camp (4700m). It takes around Four hours. Rest day at Dhaulagiri Base Camp (4700m). Climbing from Dhaulagiri Base Camp (4700m). to Camp 1 for accumulation. Stay there. Climbing down to Dhaulagiri Base Camp (4700m). Climbing from Dhaulagiri Base Camp (4700m) to Camp 1 for accumulation. Stay there. Climbing from Camp 1 to Camp 2 for accumulation. Stay there. Climbing from Camp 2 to Camp 3 for accumulation. Stay there for 5 to 6 hours. Same night target for summit. Climb down to Camp 1, stay there. 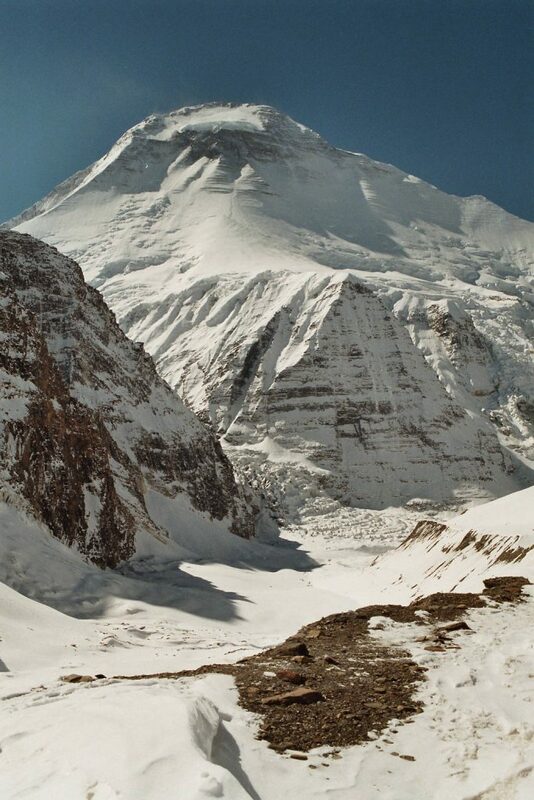 Climb down to Dhaulagiri Base Camp (4700m). Trek from Dhaulagiri Base Camp (4700m). via French Col (5360m) and Cross Dhampus Pass (5258m). to Elevation Camp ( 4930 m) Kharkha Camp. Trek From Elevation Camp ( 4930 m) Kharkha Camp to Marpha (2670 m). Drive from Marpha (2670 m) to Pokhara. All trekking and climbing equipment’s like kitchen tent, storage tent, dining tent, client tents, toilet tents, tables, chairs and cooking utensils.